According to popular belief, tying a nariyal in the temple fulfill devotees wishes. 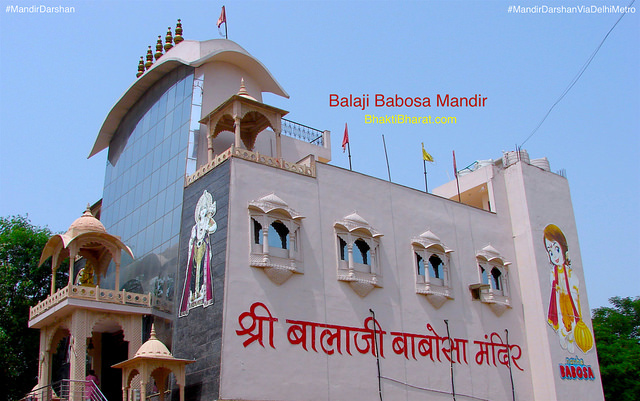 Shri Balaji Babosa Mandir attracts devotees at Rohini the sub city of New Delhi. Some devotees find Him in the form of Lord Shri Krishna, some one in the form of Lord Shri Vishnu, and most of devotees find Him as Balaji the child form of Lord Hanuman Ji.